In 1983, Aviador Dro, the legendary Spanish synth–pop band, are living their best moment: their own record label (DRO) is working full time; they share management with famous Spanish New Wave bands like Alaska & Los Pegamoides, Los Nikis, Gabinete Caligari, etc; their songs are heavily played on the radio and they play numerous gigs all across Spain. That’s when the band decide to create their most ambitious project to date: a deluxe boxset titled "Síntesis: La Producción al Poder", released in 1983, including two LPs ("Tesis" and "Antítesis"), a 7" and a booklet. 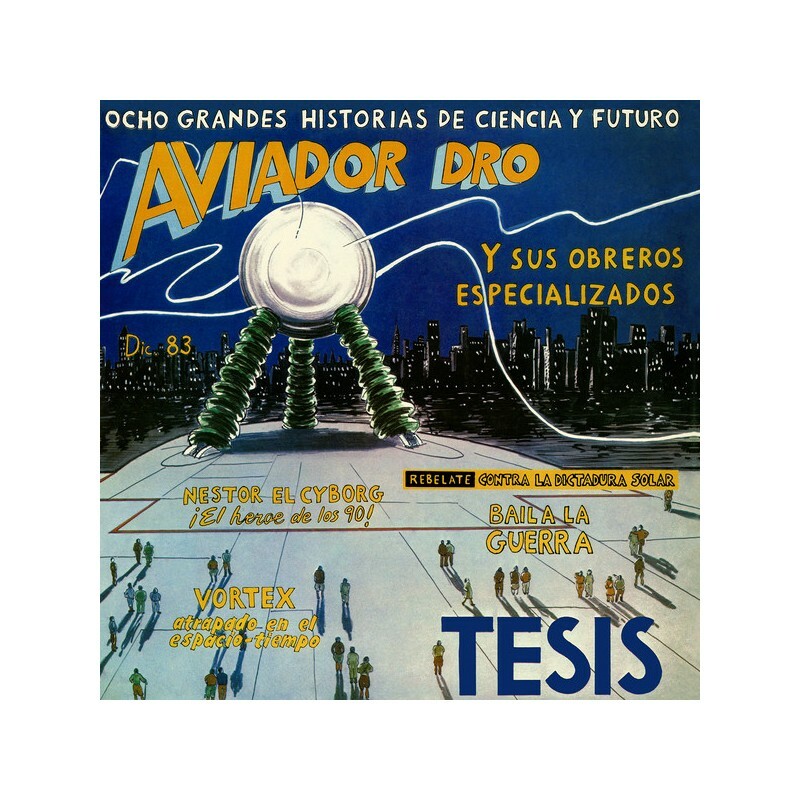 A few months later, "Tesis" is released separately with a slight change on the tracklist. This is the edition we’ve reissued here. 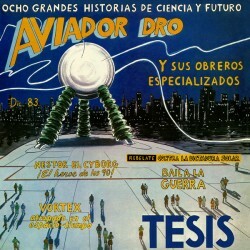 Subtitled as "eight great stories of science and future", "Tesis" featured "the most recommended songs for the industrial dance".